CropLogic (ASX:CLI) has smashed a major milestone today, making its first sale from the Sunraysia region for its ag-tech hardware and software solution, CropLogic realTime. By way of background, CLI is an award-winning New Zealand agricultural technology company that offers growers digital ag-tech expertise based on scientific research, and delivered with cutting-edge tech. 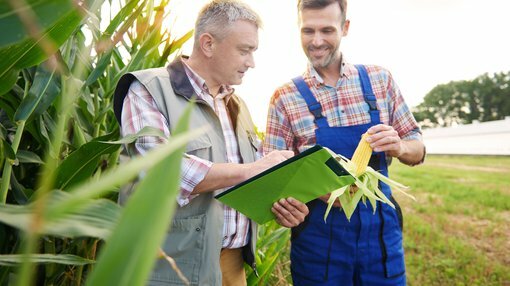 The junior weaves science, agronomy and technology together into an expert system to support growers in their decision making, by delivering a real-time industry leading soil monitoring solution that utilises sensory probes to optimise crop yields. This new order, meanwhile, follows the ASX small cap’s August opening of its first regional Australian office in Mildura, Victoria, and the appointments of Cedric Geffen and Talitha Gollan in the respective roles of sales agronomist and regional sales manager at the new office. The Mildura region produces 98% of Australia’s dried grapes and 75% of the country’s table grapes, as well as other ‘boom’ crops, including 64% of Australia’s almonds and 24% of the country's citrus fruits. These high-value crops are currently experiencing exponential crop price growth for a combination of reasons, including the region’s established road network, a positive trade environment, and Asian market demand. CLI’s Mildura office was established to take full advantage of these regional crop trends and expand into further target crop opportunities including avocados, apples and row crops such as potatoes. The map below shows CLI’s South-East Australia target area, which covers approximately 74% of Australia’s horticulture acres. 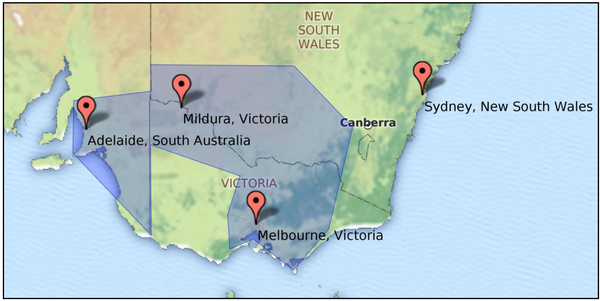 CropLogic's target geography: the Southern Regions showing the location of Mildura. Importantly, water management is a vital component for growers in the region as it affects the quality grade and return. The company’s Mildura agri-sales team have been equipped to provide expertise and technology (including the company’s own CropLogic realTime) to assist growers in the region to improve crop yields. Issues such as ongoing tensions around Murray-Darling Basin water management have created a region ripe for disruption. To that end, CLI anticipates swift adoption of realTime GrowerView, which could cut users’ water consumption in the region and drive adoption of the technology throughout other regions. “I have been impressed with the Sunraysia region’s agricultural industry growth and pleased at the positive response that CropLogic has received from the regional Government and our partners as well as from the local farming community,” CEO of CropLogic, James Cooper-Jones, said of today’s milestone. “This first order is a key achievement for CropLogic with the company announcing in its recent investor presentation that this initiative would be one of its operational goals within the 6-month period to April 2019. CLI launched its flagship product in Washington State, US, in 2017 and has since been servicing horticultural growers in that state — with a market share for some crops as high as 30%. CLI has been taking a strategic approach, targeting crops with high performance and a good growth trajectory story, depending on each region’s potential — from citrus fruits in Sunraysia, to hops and apples in Washington State, to potatoes in Idaho, or hemp in Oregon. Last month, the small cap brought on two consultants — Green Rush Advisory Group (corporate advisor) and Green Light Law Group (law firm) — to look closely at opportunities in Oregon’s (US) hemp growing regions. On a broader scale, CLI is positioning itself to take advantage of the emerging agronomy and digital agricultural trends in hemp and CBD production.